This one is written, drawn, and colored by Mr. D.F. French. As I mentioned before, the plan was for D.F. to take over the strip. For his first storyline, he wanted to bring Malev'lynn, Weirdo-Freak, and Jimmy together, and let the wacky hi-jinx ensue. Here's where it begins; tune in next time to see what ensues. Don't do it, guys! 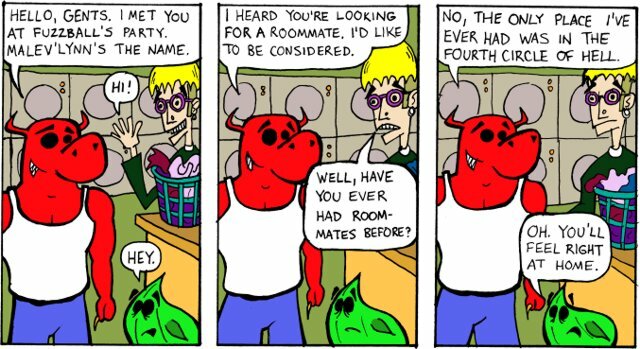 It's literally the roommate from hell!